SO far, we’ve only been recommending to you what to put on your face, but have yet to talk about the things you put into your body. You’ve been told many times before: “You are what you eat”. Whether it’s coming from the doctors, your parents, and even from your faithful personal trainer. The point is, the less you care about what goes into your mouth, the more you’re likely to suffer the consequences. 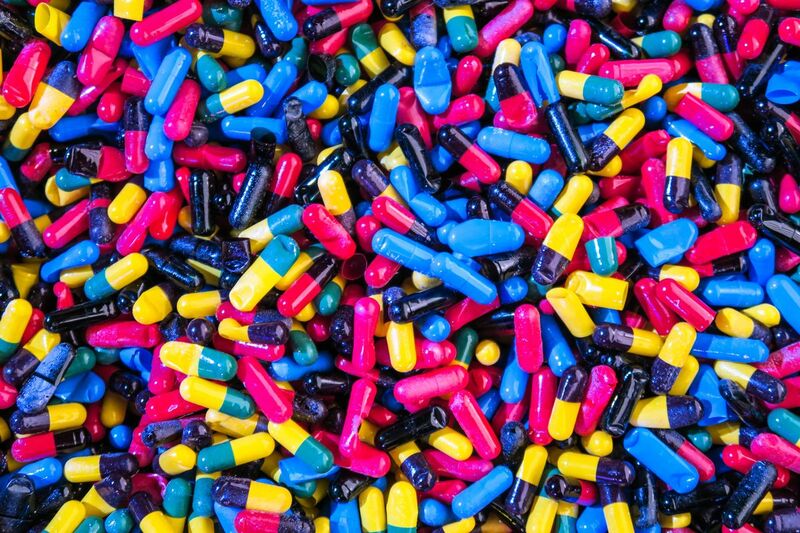 There are countless reports describing how vitamins and minerals help to improve your complexion, whether the source is food or supplements. No amount of moisturiser or serums is going to hydrate your skin or slow the signs of aging if you don’t drink enough water or have enough rest. You get the idea. It’s time we explore what’s available and what works for you other than the products you put on your face. This quick and easy one day cleanse by SW1 Clinic is formulated for the busy urban professionals (hence the name) who don’t have the luxury to take on long dietary detox programmes to rid their body of toxins. “The shorter duration is also less daunting for people who have no time or willpower for longer cleanses, but with the positive changes experienced, some do go on to longer cleanses while others are more empowered to make healthy lifestyle changes in their lives after” Dr. Low Chai Ling, Medical Director of SW1 Clinic explains. Within, a combination of Oregon Grape Root, Red Clover Blossoms, Dandelion Root Extract, and Burdock Root with compounds including isoflavones, a type of phytoestrogen and other derivatives that inhibits manifestation of intestinal bacteria, purification of the body and blood, detoxifying the liver and kidney, breaking down dietary fats to improve the condition of blood and skin. “You should expect to feel more energised and less lethargic. As this is a short cleanse compared to traditional cleanses that are longer, we encourage people to do them regularly to keep their bodies in check. Over time, you are less likely to have issues with bloating and sudden weight gains.” Dr. Low quipped. Direction: Add entire bottle to 1 gallon of water in the morning. Drink this throughout the day. The 1-Day purification cleanse is so gentle that you can safely use it monthly. We’ve known for a while now that sun damage can cause considerable damage to your skin. The folks at Esthemedica created a supplement, Estheshield, made from a natural fern extract (Polypodium Leucotomos) to shield from UV radiation and sunburn cell formation. The extract provides antioxidant properties to prevent free radical damage, which, unmanaged, could long-term DNA damage and skin aging. 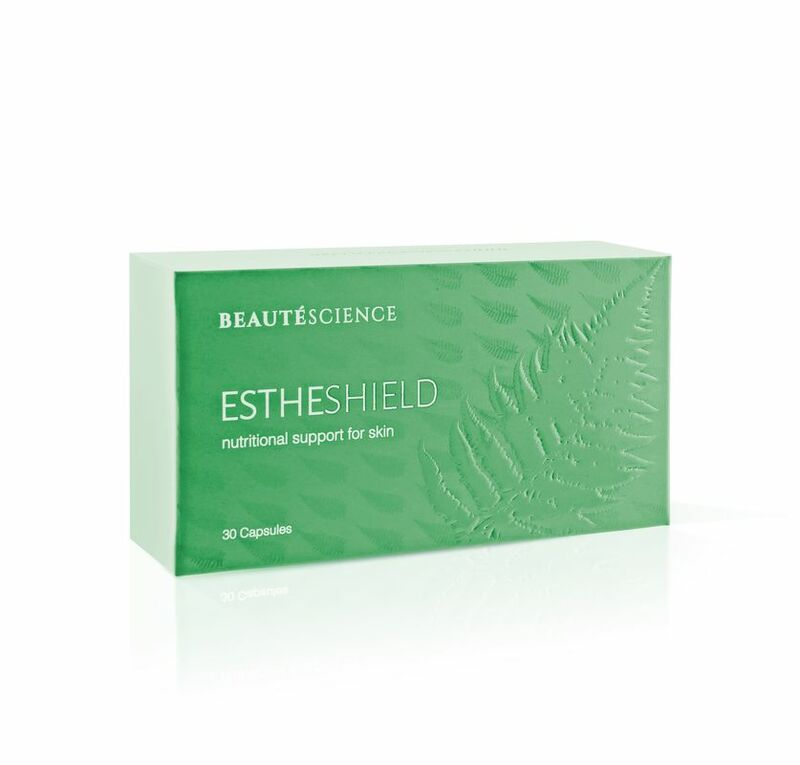 EstheShield is a high potency formulation (500 mg) designed to provide a high level of protection. The natural herbal sunscreen that works deep within skin where topically-applied products cannot reach. With its rich anti-oxidant properties, it helps to prevent oxidative damage and premature aging, and inhibition of free radicals from UV radiation. An unhealthy gut flora (gastrointestinal microbiota, the complex community of microorganisms that live in the digestive tracts of human) will lead to a variety of problems including chronic inflammation, which is a cause of acne and other skin problems. Our skin has its own microbiome which will impact the outlook of our complexion. The Probiotic Skin Food by SW1 Clinic is concocted with approximately 13 probiotics and compound combined (Artichoke Fiber, Beetroot Fiber, Bifidobacterium bifidum, Bifidobacterium lactis BI-04, Bifidobacterium longum, Bifidobacterium longum BB536, Burdock Root, Dandelion Root, Lactobacillus acidophilus, Lactobacillus casei, Lactobacillus plantarum, Lactobacillus rhamnosus, and Western Larch Fiber) to restore balance to your gut and improve your immunity and digestive system. It also helps to help to make your skin more resilient to breakouts. Beside scrubbing and applying brightening serum to a brighter complexion, consider EstheWhite. This skin brightening/whitening supplement made from PhytoflORAL is a patented innovative dietary supplement derived from a proprietary source of non-GMO tomato species that is rich in colourless carotenoids – phytoene and phytofluene. These specific carotenoids are known to lighten and even out skin tone by inhibiting constitutive melanin synthesis (baseline pigment production). It also helps to shield against harmful UVA and UVB rays and significantly increasing anti-oxidant processes. Clinical review by the dermatologist had shown that 60% to 86% of the subjects’ skin quality was significantly improved after 6 weeks and up to 90% of the subjects had improvement in skin dryness, roughness, suppleness, evenness and texture after 12 weeks.